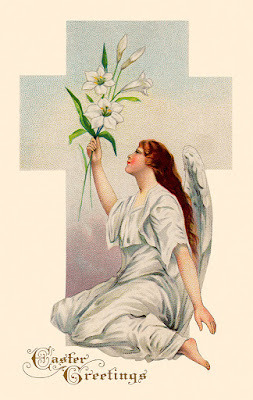 Yvonne's Genealogy Blog: Happy Easter! A blessed and happy Easter, everyone! Image credit: “An angel holding lilies – a circa 1910 Easter greeting card illustration”, Royce Bair, The Stock Solution.